Thank you once again for joining us. We are thrilled to have you here again. In case you have missed the festivities thus far, you are welcome to check out the previous posts beginning with our blog hop posts this past weekend and yesterdays’ post too. You can still enter for your chance to win the blog candy by being a follower of our blog and leaving comments on any of the above posts and or today’s. Today’s theme is one near and dear to my heart. It is all about bows, ruffles and lace. I love the girly, girly look of a pretty satin bow or lots of ruffles and lace. I guess no matter how old I get, the little girl inside me will always feel fond of these girly things. Cricut Cartridges $35 or LESS! 20% off your order through Monday! Head there now for details and to grab some great merchandise at great prices! How do you win??? You MUST be a follower of our blog, sorry no exceptions. Then just leave a comment on this post or any of the posts for the next 7 days (During our celebration). Like our page on Facebook and come back and leave another comment for an additional chance to win! Click The Add To Cart Button and Check Out. It will not cost anything to check out during the free offer period which is only 24hrs. Available in the following formats: AI, DXF, EPS, GSD, KNK, MTC, SCAL2, STUDIO, SVG, and WPC. Thank you so much for stopping by. Be sure to leave a comment on this post as well as the posts from Saturday through yesterday (links at the top of this post) to be entered to win our blog candy. Also don’t forget to stop by each designer’s blog and give them some love for all their hard work and inspiration! Melin and the CWC and PCW Designers. 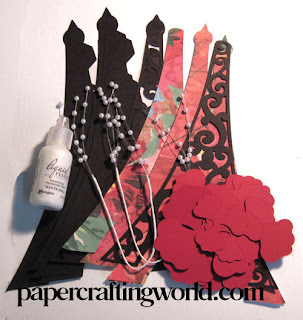 Great projects, love all the lace,bows & ruffles. I love checking yall out all the time, yall all have yalls special , unique style, which I love. I never know what yall will come up with. Yall are a very talented group. 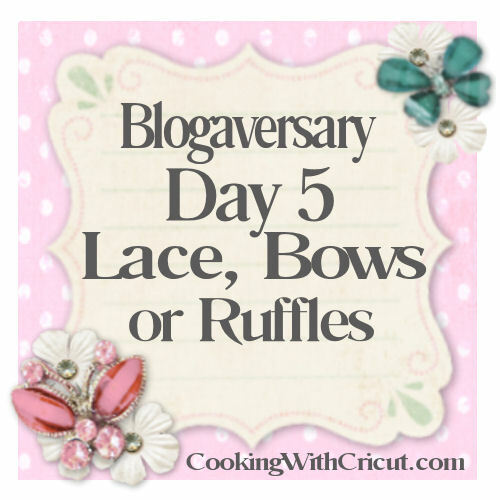 I am loving your blogaversary! The ideas and inspiration from all of you has been wonderful! Thank you so much, and thanks for the great freebies, and the chance to win some of your blog candy! No to go play! Beautiful projects showcasing lace and ruffles! Thank you for the freebie! Melin another beautiful vintage flower file. You are so generous with your files. Thank you so much and thanks for this wonderful blogaversary. Congrats to you my friend. You work so hard and inspire many. Your card is beautiful made with the frame and vintage floral arrangement!!! The DT has also done an amazing job with today's inspiration. Melin, Thank you so much for the lovely files today!!! WOW! Such beautiful and fun creations. Thanks for the freebies and a chane to win. You DT really ate filled with such great talent. Thank you for the very beautiful files for today. And for the chance to win the yummy candy. 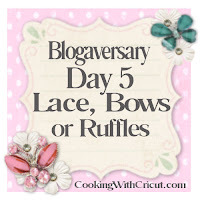 Thanks for the Blogaversary (that's not easy to spell)! Keep the great inspirations coming! Melin your card is so pretty! I LOVE the vintage look to it and the colors are so soft! Melin, the Lily of the Valley is the prettiest flower of them all! And what a beautiful frame. Thanks so much for all the freebies this week. I love them all! Thank you so much for such beautiful inspiration and beautiful free files!!! I love everything! 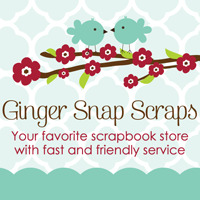 Wonderful selection of layouts and cards, some cute funny and pretty ones. Another day of great projects. I love the fluff and frills! So sweet and fun! Very nice...once again!! Thanks for the freebies! I am a new follower. What a beautiful layout! I absolutely love the Pooh bear lo!!! I didn't realize until today that several of my comments have not been posted for some reason or another. So thank you for the wonderful inspiration and freebies you have so graciously given during your blogaversary!! I also liked you on facebook and have been a follower of your blog for quite sometime. Thanks so much for the freebies and the chances to win such great prizes!!! I adore the image Marji used on her project. So cute! Your DT did a swell job as always. ;) I'm a FB fan as well and follower here, of course! Wow the vintage bouquet and frame are absolutely spectacular. Thank you so much for the freebies. Enjoyed day 5 of blog hop. Thanks for the freebies. What an amazing week it has been with the free files, awesome inspiration, and great giveaways- when you do a party you do it right! Love today's lacy oval frame with the beautiful lilies-of-the-valley arrangement inside of the frame. Once again awesome projects, thanks for sharing, great DT. what cute projects, enjoying this week. Very fun and cute projects--thanks for sharing and hosting this lovely fun week! you ladies have done some AWESOME projects all week. thanks for all the inspiration and freebies you have given us. i really like Kelly above in her lacy skirt and boots. Wow, what a great week with such talented ladies. Thanks for the ideas and freebies! What great ideas. Thank you for the free files. Love all tof the great ideas! Thank you for the freebies as well! Thanks so much for making me look like a genius! Wonderful projects! The layouts are adorable! Cute cute cute, lovely job! What fun projects. Amazing work. Great new ideas for me, never use much lace or ribbbon on my layouts...I'll have to give that a try since these look so adorable!! Thanks again! More amazing ideas and I especially love the design of Evelyn's card. Very unique!! Everything is so beautiful! Thanks for the inspiration!